River Island Singapore Is Back! 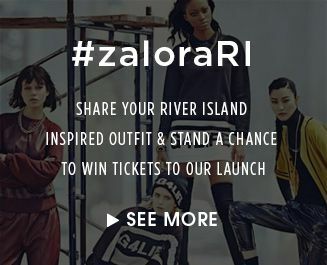 One of London’s most iconic high street fashion labels, River Island, is finally making its return to our shores after officially closing all its branches here in 2012. The paragon of Brit fashion is now available online in Singapore, exclusively at ZALORA! With its distinct edgy-glam street style, the brand has garnered a massive following since it first opened its doors, helming British high street fashion along with other popular labels like Topshop, Miss Selfridge and Dorothy Perkins. With an array of stylish bags, show-stopping shoes, snazzy jewellery and funky dresses, River Island is a hot favourite amongst celebrities like Rihanna, Rita Ora and Frankie Sanford of British girl-group The Saturdays. Not one to shy away from adventurous styles, the brand is back and ready to hit our streets. Whether you’re into Rihanna’s rockin’ swag, Rita’s bold style or Frankie’s edgy look, it's all just a click away. Now there’s no excuse not to shop at ZALORA Singapore.